Stop. | Complexity collapse organisation: Why complexity collapsed the Roman Empire | StopPress. “Increasing complexity and the costliness of maintaining the status quo are precisely what undermined the Roman Empire”. When setting up Stop., I didn’t ever imagine a scenario when I’d be researching and writing about Constantine The Great. But bear with me. This is a (very brief) history and economics lesson leaders in complex organisations should find useful. In his book ‘The collapse of complex societies’1, Dr Joseph Tainter explains how societies naturally become more complex as they try to solve evolving problems. Over time, humanity has evolved from simple societies with little division to labour (i.e. hunter-gatherers), to complex societies with varied occupations, which require structured governance to manage them. Tainter has researched dozens of societies and civilisations which have collapsed. In this article we will look at how and why internal complexity played the major role in the collapse of the Western Roman Empire. In its pomp in 117 AD, the Roman Empire was the most extensive political and social structure in western civilization. It stretched from England in the north to Egypt in the south. The empire expanded to solve problems. When it could not produce food required to support its population, it invaded a neighbour. As with the organisations we know today, there is an evolution towards complexity as a way of solving problems or increasing returns, whether they be economic or social. Initially there is obvious economic gain. Eager historians will know that the Romans eliminated taxation for themselves when taking over the Macedonian Treasury in 167BC, doubled their state budget when annexing Pergamon in 130BC and raised their own state budget by an additional 70% after conquering Syria in 63BC. The empire expansion created greater and greater strain on the population. Farmers were expected to produce more food and contribute more in taxes to pay for the bureaucracy. Taxes doubled in 300AD and then doubled again in 364AD. Literally unable to make ends meet, some farmers moved to private landowners who vouched to protect them. As farmers relinquished land, both food production and taxation rapidly decreased. And with every change to taxation came a need to update process and protocol, and apply this across the empire. Needless to say it created significant social disorder, both in older and newer parts of the empire. To keep order in the organisation and social cohesion, Emperors such as Diocletian and Constantine The Great introduced more and more process, structure and control. Not everyone lost. Whilst leaders in Rome were certainly worse off, archaeological analysis on human remains post the collapse suggested that many people were nutritionally better off. Food that was required to pay for the bureaucracy, could now be eaten by the masses who produced it. Tainter recognises there is some validity in other theories behind the collapse – for example crop failure, disease and invasion. Ultimately, however, all of these reasons were underpinned by a simple economic problem: the Empire had become too complex and the law of diminishing marginal returns applies to the cost of complexity. Solving any problem has a cost, a benefit and a diminishing marginal return. The initial cost usually seems acceptable – the damage comes from the cumulative costs. Rome failed to recognise the real cost of the complexity it had created. The serious consequence of increased complexity is an organisation has to invest in activity which generates lower yields. Taiter claims innovation which increases productivity is the only way to avoid declining marginal gains from additional investments in complexity. In practice that means organisations being aware of two things: the cost of their complexity and the output the organisation produces because of the complexity. There is a direct correlation between complexity and the resources required to support it. Simplification will help drive both. Did the Romans need duplicated administration? Did the Romans need to continually subdivide territory? Did the Romans need multiple seats of power? Did the expansion justify the size of the army needed to protect it? Was it effective to have constantly changing taxation? Takeaway: As the Western Roman Empire, Kodak, Nokia and countless others show, organisations can and will collapse under the weight of their own complexity. Learn from the lessons of time. 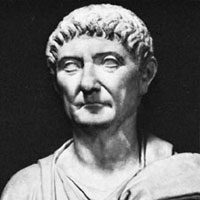 And beware of your CEO becoming too much like Diocletian.